So we opened a pierogi truck in May of 2011. 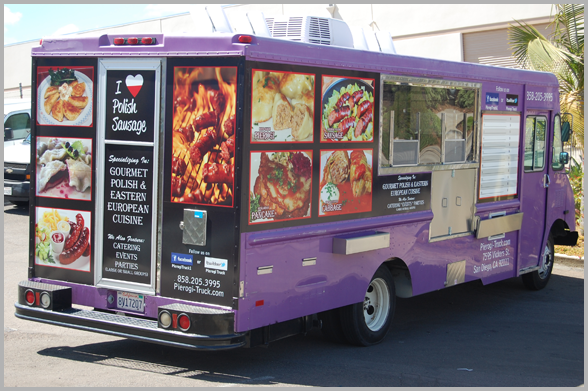 We are trying to bring the most authentic Polish and Eastern European dishes to San Diego, that is why all of our ingredients come from best Polish delis and meat shops in Chicago. 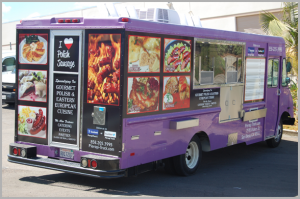 Our restaurant (Gourmet Polish Food Truck) is a place where you can experience authentic, traditional, and delicious Polish cuisine. All of the meals are homemade. Our recipes are unique, secretly guarded, and have been passed down from generation to generation. 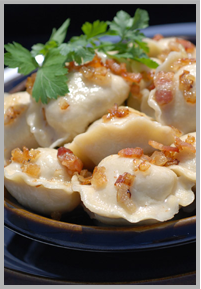 Our signature dish is pierogi. We offer 10 kinds of pierogis, either boiled or fried. To satisfy your sweet tooth, we suggest sweet pierogis such as: blueberry, strawberry and sweet cheese, which are served with whipped cream and sugar. Our menu also includes popular Polish dishes such as “golabki” (Stuffed Cabbage), “Bigos” Polish Hunter’s Stew and many more. We are very proud to be the only Polish restaurant in San Diego with authentic polish food! 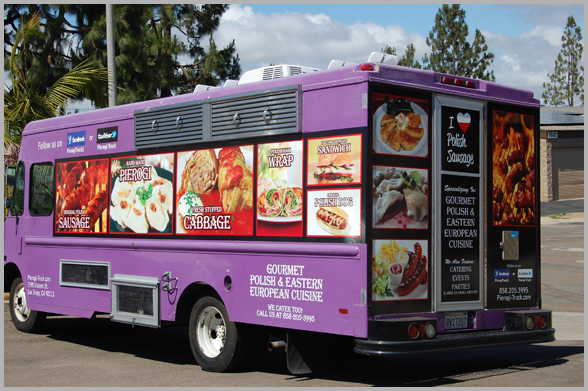 Our truck is only one of a couple, if not the only in one San Diego with full commercial kitchen and mechanical refrigeration. 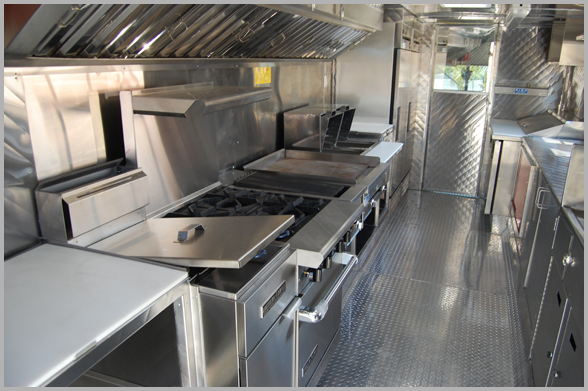 Our truck is entirely steam cleaned at least once a week to provide the healthiest and cleanest environment to serve you food.